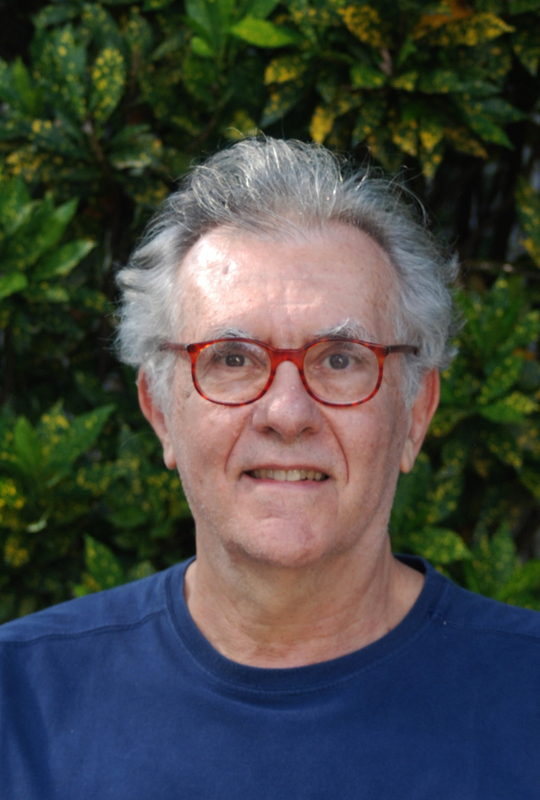 The writer and illustrator Ricardo Azevedo was born in the Brazilian megacity of São Paulo in 1949 and is one of the most renowned writers for literature for children and young adults of his nation. After studying Visual Communication at university, he worked in advertising before writing his master’s thesis on popular stories in children’s literature in 1997. In 2004 he earned a doctorate at University of São Paulo with a study about samba lyrics (popular discourse): “Abençoado e danado do samba” (“Blessed and bewitching samba”), Edusp, 2013 (still not printed). Azevedo made his literary début in 1980 with the picture book “O peixe que podia cantar” ( “The fish that could sing”). Since then he has written several books and stories for children and young adults, in addition to a series of poetic works which have been published all over the world. Even as a young adult, he had already started to bring together narratives and fairy tales and over and over again he focuses on the Brazilian oral-storytelling tradition. Thus, in “Contos de Espanto e Alumbramento” (“Tales of amazement and enlightenment”), among many other books, he retells popular stories in a style at once modern and poetic. Ricardo Azevedo’s writings revolve around life’s universal questions and problems, and those dreams and anxieties, those passions, contracditions and hopes which preoccupy young and old alike. Azevedo resists the notion of an exclusive “childlike universe”, commenting that “it is a cliché which fails to take the reality of children’s lives into account. Children and adults have always shared the same universe and will continue to do so. It is this fact that opens up endless possibilities for a writer.”. In his book for young people “Pobre Corinthiano Careca” (“Pedro träumt vom grossen Spiel”, Elefanten Press or “Poor and bald Corinthiano”) he tells the story of Pedro, a smart and shy boy, who loves Camila and, at same time, loses himself in daydreams about everything to do with his favourite team, Corinthians de São Paulo, and whose life is far from simple. He lives with his mother in poor surroundings and is unhappy in love. Ricardo Azevedo has books published in Germany, France, Mexico, Portugal, Holland and Porto Rico. He has been awarded the Prêmio Jabuti prize on four occasions, as well as the Prêmio Banco Noroeste among others. His illustrations have been exhibited in various cities, including Bologna, Tokyo and Bratislava. Azevedo is a freelance writer and lives with his family in São Paulo. Dog: Ricardo, are you afraid of dogs? Ricardo: Oh no! But I confess if the dog is angry or dangerous, yes! Dog: Sometimes I would like to bite people I don’t know. Strangers to me are always enemies. And how about you? Sometimes do you like to bite as well? Ricardo: Only when I meet bad people or face unfair things. In that case I get furious. Dog: When you find a very good meal but are not hungry do you hide the food in a hole to eat it later? Ricardo: I prefer to keep the food in my refrigerator or in the cupboard. Dog (hands on head): Please never do that! People will come and steal and eat your food! Another thing: tell me, please, do you piss or not? Ricardo: Of course I piss! Dog (astonished): But like this you wont leave your mark! So how can people know if you passed or not by some place? Ricardo: Simple. For this I write a text or make a drawing.